The main function of HVAC systems is regulating the temperatures and maintaining the air quality inside your home and office. During this time, those systems have faced a continuous development. As a result, advances in the reliability and cost effectiveness of HVAC units continue to improve. That is the main reason why you can benefit from the latest technology in air conditioner field. There are the main benefits of a modern system. The initial investment in these modern systems may be quite expensive, but, on the long term, you will manage to pay off those current expenses. An HVAC unit can both cool and heat your home. As a result, it saves construction space, installation time and power usage. Energy savings are noticeable from month to month. In that event, you can even reduce your energy bills. Nonetheless, in contrast with typical gas furnace, these modern units do not generate a large amount of pollution. Hence, you can consider them eco-friendly. From another point of view, a HVAC system also run by renewable energy found in the form of solar panels. This is the most important aspect. A contaminated air may pose serious risks. It can also cause allergies to be more severe. Furthermore, our specialists say that indoor air quality may be three to five time worse than outdoor air. In that event, those modern systems can definitely improve air quality thanks to that constant exchange between polluted indoor air and fresh outdoor air. 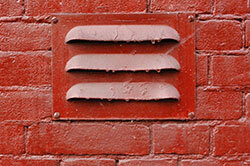 In addition, air duct filters filtrate outdoor air for the best quality possible. As a result, you will successfully manage to prevent germs from entering your home and your rooms will always be kept clean and fresh.